RFID Range. What Affects The Distance You Expect RFID To Work Over? RFID range is fundamental. If you’re planning to use RFID you need to know what distance it will work over. This depends on RF transmit power, the receive sensitivity, the surroundings, how much water is present, the orientation of the tag, frequency of operation and the care that’s gone into designing the products, planning and installing the system. RFID is wireless technology that uses Radio Frequency (RF) electromagnetic energy to carry information between an RFID tag and an RFID reader. Some RFID systems will only work over a few inches (or centimetres) while others may work over 100 metres (300 feet) or more. While chosing an RFID system with an RFID range of a hundred metres might seem attractive, the technology that enables this may not support some of your other needs, such as minimizing costs by allowing you to use inexpensive passive tags. And while you can control some of the things that affect RFID range, you may not be able to control others. If a manufacturer says his tags will work up to 50 metres, don’t assume they will always work at 50 metres. They may only work at 20 metres in some applications. We’ll explain which things you do have control over... and which you don’t. A passive tag doesn’t have a battery. So where does it get the energy to power it? It needs to get the energy from somewhere. The answer lies in the RF energy that the reader transmits. If the tag and the reader are close enough, the tag’s antenna can capture some of this RF energy… certainly enough to enable the tag electronics to modulate the reflected signal with its ID number. Each country puts a limit on the transmit power that a reader or active tag is legally allowed to transmit, and this is enforced by law. Without these limits, a radio system would be chaotic and unworkable. You can operate RFID without a license in the ISM bands (Industrial, Scientific and Medical). Different countries have different regulations and specify the maximum amount of power you can use in each frequency band. The amount of power that the tag needs to get from the reader to enable it to operate is important. The electronics in a passive tag is usually simple and it doesn’t need to draw a lot of energy from the reader’s RF field to operate. In fact, if you were a tag designer you would work hard to minimize the amount of energy needed to power the tag. The working distance between a reader and a passive tag is greatest when they are in tune. The more closely the RFID tag is ‘tuned’ to the reader frequency, the stronger is the signal. 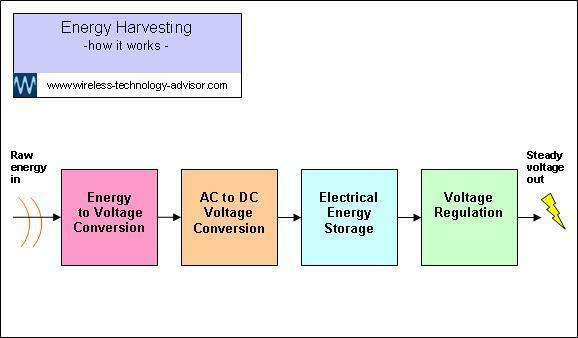 An active tag usually gets its power from an internal battery, so has enough energy available to enable it to transmit at the maximum allowable power. It also has enough energy to support the tag’s sensitive RF receiver. These allow active RFID tags to operate at a much greater range than passive tags. Some tag manufacturers are now claiming that their tags have a battery life of up to five years. This depends mostly on how often the tag transmits. Both a reader and a tag have an antenna. 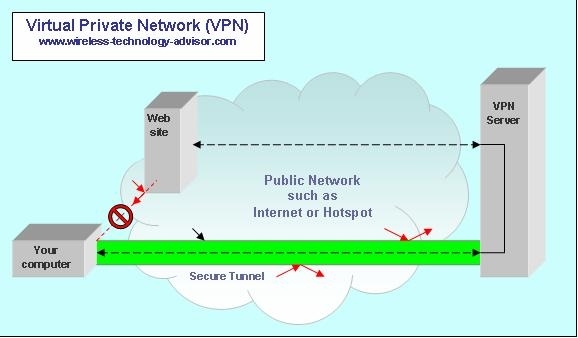 To enable data communications each must be able to receive some of the transmitted RF energy from the other so the information can be recovered, from the RF carrier, and used. Some types of antenna focus the radiation into a beam. If you send the energy only toward the tags, and you don’t waste any energy by sending it in directions where there are no tags, you increase the RFID range. Have you seen the Yagi antennas with the directing cross bars on them? Those direct the energy into a beam. The more directors an antenna has, the narrower, or more focused, is the beam. But the narrower the beam, the more accurately you have to aim it, as the target area is smaller and the tags have to be closer together. 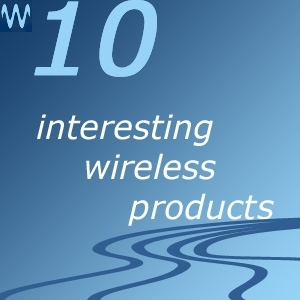 But you can’t just add a highly directional antenna to your RFID reader and focus all your power into a narrow beam to increase the RFID range. Any other radio receiver within the influence of this concentrated beam might also be influenced… adversely. 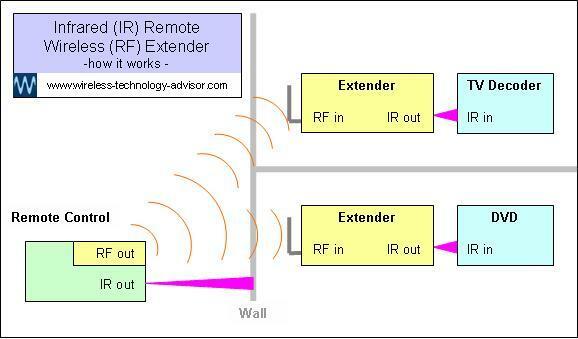 An intensely focused RF transmission from far away might overpower a weaker local RF signal. You need to limit the power you transmit from the antenna and this depends on the type of antenna you use. Regulations in the USA limit the transmit power in the UHF band to 4Watts EIRP. EIRP is the Effective Isotropic Radiated Power and is the amount of focused power (the beam) transmitted from a directional antenna. This power is simply the amount of energy that you’re legally allowed to radiate from your antenna, every second. If the antenna radiates in all directions (isoptropically), you could put 4 Watts in to the antenna and the EIRP would be 4 Watts out. But if the antenna focuses all this energy into a beam that has say 10x the intensity it would otherwise have, then if you put 4 Watts into the antenna you would effectively be radiating 4x10 = 40 Watts EIRP out of it (in the beam) and be violating the regulation in the direction the antenna is pointing. Antennas don’t just transmit, they also receive. and a sensitive receiver to put this into. This way you may get enough RF energy to enable you to recover the ID information. RFID range is affected by operating frequency. In general, the higher the frequency, the greater is the range. RF radiation has more energy at the higher frequencies and so the RF field can influence RFID tags that are further away. Lower frequencies (LF) usually mean shorter RFID range. 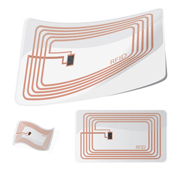 LF RFID devices use the so-called Near Field Effect. This uses the magnetic component of the electromagnetic energy and this couples the tag and reader over only very short distances of typically up to half a meter, or just over a foot. This is fine in applications like card readers where you bring the tag up close to the reader. But the influence falls off very rapidly as you move the tag away from the reader. How rapidly? If you double the separation distance, the RF intensity falls, not to half of what it was, but to one eighth. If you triple the separation distance, the RF intensity falls to one twenty-seventh of what it was. This effect limits the amount of power that can be transferred from the reader to the tag as they move further apart. This is significant if the tag doesn’t have a battery and is relying on harvesting some of the radiated energy from the reader to power its microchip. In applications where you do bring an RFID tag close to the reader, powering a passive RFID tag and ensuring there’s enough signal to carry the ID is easy. At higher frequencies the RF can be more easily obstructed or absorbed by objects in and around the line of sight between the reader and the tags. Tags have to work in all kinds of surroundings, both indoors and outdoors. They inevitably have to work in situations where they are in contact with substances that may dramatically reduce the strength of the RF energy carrying the ID information. Liquids such as water can absorb RF (especially at microwave frequencies) and metals can shield or reflect RF energy. Some tags are designed to minimize the effects caused by RF reflections, by processing the reflected signals that arrive at slightly different times, because some take slightly longer paths than others and take longer to get to the receiver. You may see this referred to in a manufacturer’s specification as multipath. You get the best RFID range when the tag is facing the reader. Sometimes you can arrange this easily during installation. So do this if you can. For example, in a factory it’s often easy to mount a reader under a conveyor so that it always faces tagged items that are in a fixed position when passing over the reader. You get worst RFID range when the tag is edge-on to the reader. This is because the RF is weakest when edge-on. Imagine you have a pile of randomly mixed tagged items. Some tags will be facing the RFID reader, others will have their edges pointing to the reader… and most will be somewhere in between. Have two reader antennas at right angles to each other. That way, if a tag is edge-on to one antenna, it will be facing the other. Put two tags in each item at right angles. That way, if one tag is edge-on to the antenna, the other will be facing it. However this will add expense to the system. Move tags or reader so that the relative position changes. That way, the angles change and a tag that was on a difficult reading angle before, once moved may become readable after its angle becomes more favorable. Remember you only have to read a tag once to know that the item is there. Portable tag readers make this easy. An RFID system can range from simple to complex, depending on the size of the job.